50 countries are projected to invest $226bn in smart grid infrastructure over the next decade. Northeast Group's Emerging Markets SmartGrid: Outlook 2016 is the fifth edition of its annual emerging markets smart grid overview. Over the next decade top project where smart grid investment will occur in developing countries. To-date, most smart grid investment has been concentrated in developed countries. 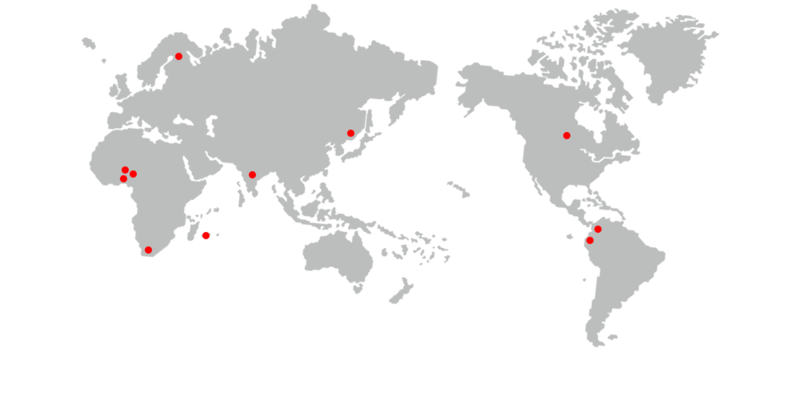 This mainly includes countries in North America, Western Europe, and East Asia. These markets represent nearly 83% of the current installed base of smart meters and many of the pioneering distribution automation, analytics, home energy management, and other smart grid initiatives. But many countries in the rest of the developing world are positioning themselves to quickly catch up. The 50 countries have all begun to explore smart grid deployments, and in many cases have advanced regulatory frameworks and extensive pilot projects in place. With GDP growth rates more than double those in the developed world (4.8% per year from 2015 – 2019), these 50 countries will have the funds available to undertake significant grid modernizations. Emerging market countries can reap immediate benefits from smart grid infrastructure investment. Many of these countries suffer from rampant non-technical losses – mostly due to electricity theft – that cost in aggregate $63.1 billion dollars each year in lost or unbilled revenue. Furthermore, all of the countries face high rates of electricity demand growth, straining existing infrastructure, and worsening already unreliable electric grids. The findings from this study show that 40% of the countries are already ready for significant investment in smart grid infrastructure. This means that they not only have well developed regulatory frameworks, but also have the underlying market conditions (through high T&D loss rates, high electricity prices, and enough high-income residents) to justify smart meter deployments. Other smart grid initiatives will follow smart metering, with distribution automation the second largest overall segment ($49bn from 2016 to 2026). In addition to regulatory frameworks and T&D loss rates, further key criteria for assessing smart grid potential include existing industry structures, current electricity prices (and whether or not they are subsidized), financing mechanisms, the potential for operational benefits, and other efficiencies. Of the 50 countries, almost all of the Central & Eastern European (CEE) countries studied meet these criteria, while some countries in Latin America, Middle East & North Africa, and Southeast Asia do as well. Meanwhile, the other countries in this study show the potential to progress quickly over the course of the coming decade. Additionally, regional organizations and regional leaders will help drive progress across these emerging markets. The EU, ASEAN, and GCC have all been critical in facilitating smart grid cooperation, while countries such as Brazil, Singapore, and the United Arab Emirates already serve as regional leaders. As smart grid deployments are likely to show distinct characteristics in emerging markets that differ from existing deployments in developed countries, these regional leaders will be critical in developing models that can be used by countries with similar drivers and barriers.